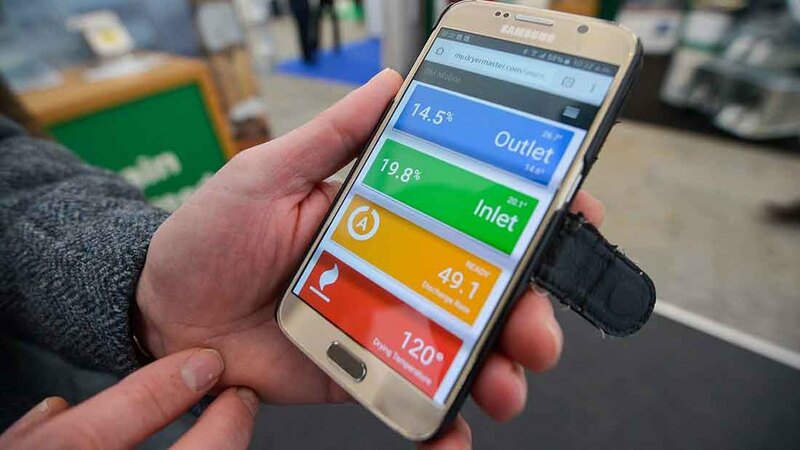 A new control system designed to provide accurate drying of grain and other combinable crops with minimal manual intervention was displayed at this year’s CropTec. 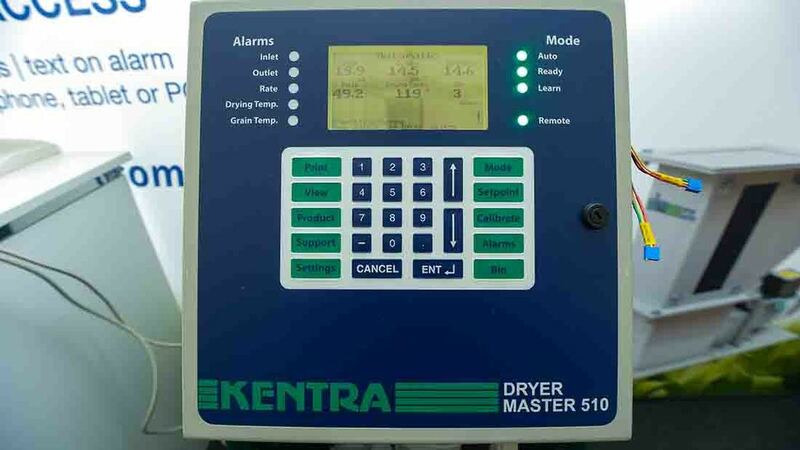 Kentra’s Dryer Master DM510 control unit and software can be retrofitted to most continuous flow crop dryers or embedded into the control panel of a new Kentra dryer. Both installations use a pair of moisture sensors – one at the intake, one at the discharge point – to calculate and automatically adjust the time grain needs to spend passing through the dryer to achieve the target moisture level set by the operator. Barry Higginbottom, Kentra managing director, said: “This proven technology from Canada can save valuable time otherwise spent monitoring and managing a dryer manually and can bring about significant savings in terms of energy use and unnecessary weight loss resulting from over-drying. “Assuming a grain price of £100/tonne, a farm drying 20,000t of grain has only to save 1 per cent moisture in over-drying to regain £20,000 in lost revenue. “A farm drying 4000 to 5000 tonnes of grain a year would recoup the £10,000 to £12,000 all-in purchase of a Dryer Master system in three years, while also saving time and hassle at harvest. Where Internet access is available, the display is duplicated on a web browser accessible on a farm office computer or remotely via a smart phone or other mobile device. “This is an important feature that will hopefully free up staff and allow them to get on with other jobs at what is one of the busiest times of year,” said Mr Higginbottom.